Ah, new comer! 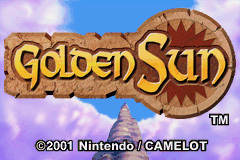 Welcome to the introduction to Golden Sun. Don't be shy if you lost your manual, you can find that you need and more here. "A Forbidden Power Is Unleashed...Nestled away at the foot of Mount Aleph, the most sacred peak on the continent of Angara, rests a quiet village called Vale. For ages, the elders of this remote community have been the caretakers of Sol Sanctum- an ancient temple on the mountain's slope that for eons has guarded the seal on the ancient science of Alchemy. Now, that seal has been broken. A mysterious figure is attempting to release the powers of Alchemy upon the world. A power so great that one who weilds its full force can attain any of his hearts desires- countless riches, endless life, even the power to destroy the world. Once the combined power of the four elements- Earth, Water, Wind and Fire, which together make up all matter- are unleashed, the world will fall to its knees before the one who weilds it. If this horrible fate is to be averted, a brave soul must now arise!" 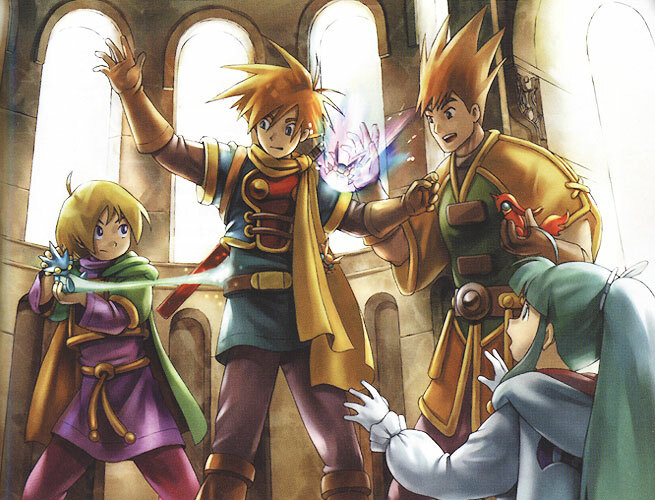 Golden Sun: The Broken Seal is the game of the RPG series of Golden Sun made by Camelot on November 2001 released on the Game Boy Advance. 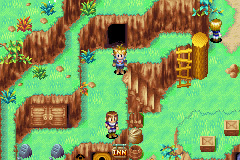 The game takes place in a fantasy setting that may be considered fairly typical of classic-style RPGs. It is the world of "Weyard", a massive earth-like environment with several major continents and many oceans. 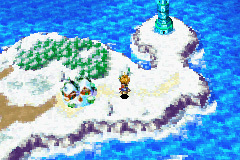 Weyard is revealed by the game's sequel, Golden Sun: The Lost Age, to be a setting modeled on the flat Earth ideal of the world; it is a flat, vaguely circular plane whose oceans perpetually spill off the edge of the world's entire perimeter into an endless abyss. 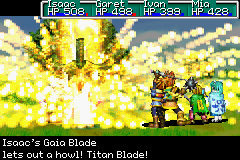 The plot progression of Golden Sun spans the two largest continents in the world's central region: The Eurasian-themed main continent of Angara to the north and the more African and Middle Eastern-inspired continent of Gondowan to the south.